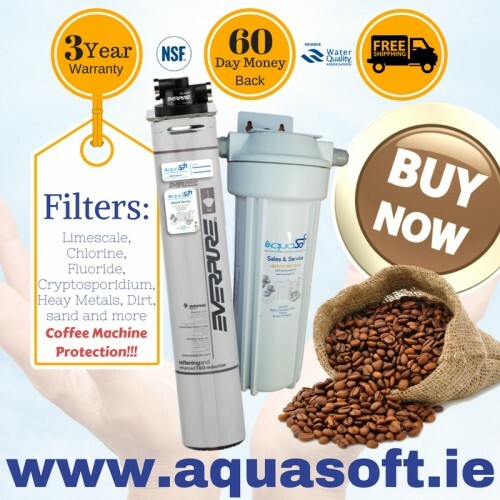 Aquasoft Ireland™ is proud to introduce our range of Commercial Coffee machine Water Filter Systems. 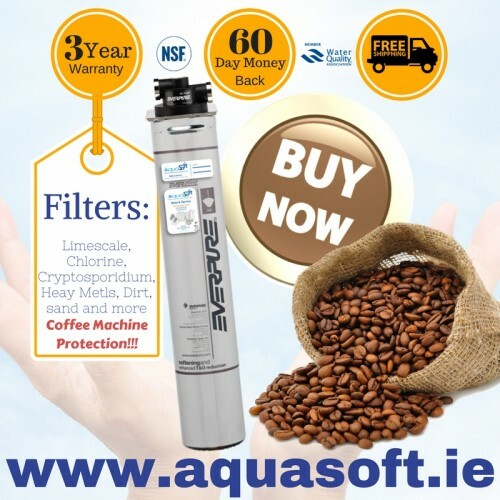 Our premium range of Coffee Machine protection systems combine softening and pH control in a reliable way, using a compact water filter cartridge that protects commerical espresso machines from damaging caused by hard water, scale, bacteria and algae. 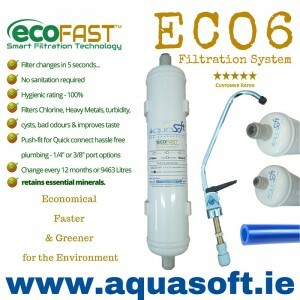 The Everpure® ES06 Coffee Machine Protection System is Ideal for Coffee machines, Berko Boilers.. The Everpure® ES06 & Fluoride Coffee Machine Protection System is Ideal for Coffee machines..